Well Spring finally arrived in late April while we were on our passage from Greenock to Oban. Here we toast our first sail of the season and the gorgeous weather on Red Moon’s aft deck while anchored near the Burnt Isles in the Kyles of Bute. Accompanied by friend and crew-member Alan from our maiden voyage in 2016, we moved smartly through the Crinan Canal and headed to Dunstaffnage Marina via a lovely overnight stop in Puilladobhrain. Rather than head to the Pontoons at Kyle – as they were not quite in place – we moored for a number of days in one of our favourite spots at Letterfearn in Loch Duich. We had some lovely days and fabulous evenings, working on Red Moon and getting her ready for the coming cruise season. With Red Moon all spruced up and ready to cruise, we set out on our first cruise of the season with some lovely guests all the way from Oz – one of whom was on a visit ‘home’ to Scotland. We had gorgeous ( if not quite Southern Hemisphere) summer weather and a first night stop anchored by lovely Plockton. The trip continued with a cruise up to the island of Raasay where our guests took a stroll ashore and visited the new Raasay distillery . That evening we anchored at Rona and enjoyed a gorgeous sunset with drinks on the aft deck. After an exploration ashore the next morning we sailed east through Caol Rona looking out for white tailed eagles – one of which duly appeared- and stopped for a lunch – time anchorage beneath the ruins of Brochel Castle and the start of Calum’ s road. Our final night’s stop was in Caolas Scalpay – the channel between Skye and Scalpay islands – with a little sampling session of Misty Isle gin, Skye’s very own botanical distillation. Very refreshing! For our second cruise the weather got even better and was idyllic for a cruise south, starting with a run down Kylerhea. We had a slight current against us which made for a slower trip with some interesting water swirling water patterns. Plenty of seals appeared as we entered the Sound of Sleat, possibly enjoying the turn of the tide more than coming out to greet Red Moon! We anchored that evening at the Sandaig Islands of Gavin Maxwell’s Ring of Bright Water fame and it was just a perfect spot with views across to Skye. With such a good forecast our guests decided they would really like to see the Small Isles so we agreed on a passage to Eigg followed by a run along Rhum’s south coast and round to the most westerly island of Canna – a new place for all of us. Arriving at Eigg we had lunch and then Mary and our guests Hazel & Phil went ashore to explore and take a walk to Massacre and Catherdral caves – the path though the woods was delightful with bluebells still out and lots of wild garlic, some of which Mary gathered on the way back for that evenings supper. A leisurely cruise to Canna followed and it was a delight to enter the little harbour there and anchor for a glorious evening, with the prospect of a trip ashore to look forward to the next day. We all went ashore the following morning to take a look at the little Scottish Free Church, Canna Rhu Church also known as ‘ the Rocket Church’. – for obvious reasons! Scott returned to move the tender and meet us round the bay near the more substantial looking St Edward’s Catholic Church – now a Gaelic study centre. We took a walk around the bay stopping at the little St Columba chapel which is actually the church most used by the islanders. It is small and simple, but beautiful inside with two gorgeous stained glass windows. We had a look at the community shop and the island’s only restaurant, Cafe Canna, which looked very appealing! Our walk continued across the bridge which links Canna to the smaller island of Sanday, stopping for a quick diversion to look at the gorgeous white sandy beach on the south side of the island. We met up with Scott who had brought the tender into a small beach below the big church and sped a short distance back to Red Moon. We were all impressed with Canna and it is definitely on the ‘ let’s go back’ list when time and tide allow! Our cruise continued heading north east around the north coast of Rhum with the ever-present Cuillin Hills on our port side. We headed up into the Sound of Sleat and entered Loch Nevis, with Phil on the helm, just as the classic paddle steamer the Waverley was heading out! We stopped for a short while at Inverie to visit to most remote pub on the UK mainland ( apparently closed on Wednesdays in the summer ?!) before anchoring for a lovely evening in the sunshine on the west side of the bay. Darkness does not come until around 11pm at this time of year on the West coast and we were certainly able to make the most of it on this trip. It was time to head back to Kyle and with an early start to catch the tide up Kylerhea we completed our Small Isles odyssey with a hearty breakfast anchored in Loch Na Beiste, just across from the Pontoons. Why not make a booking for next May now? 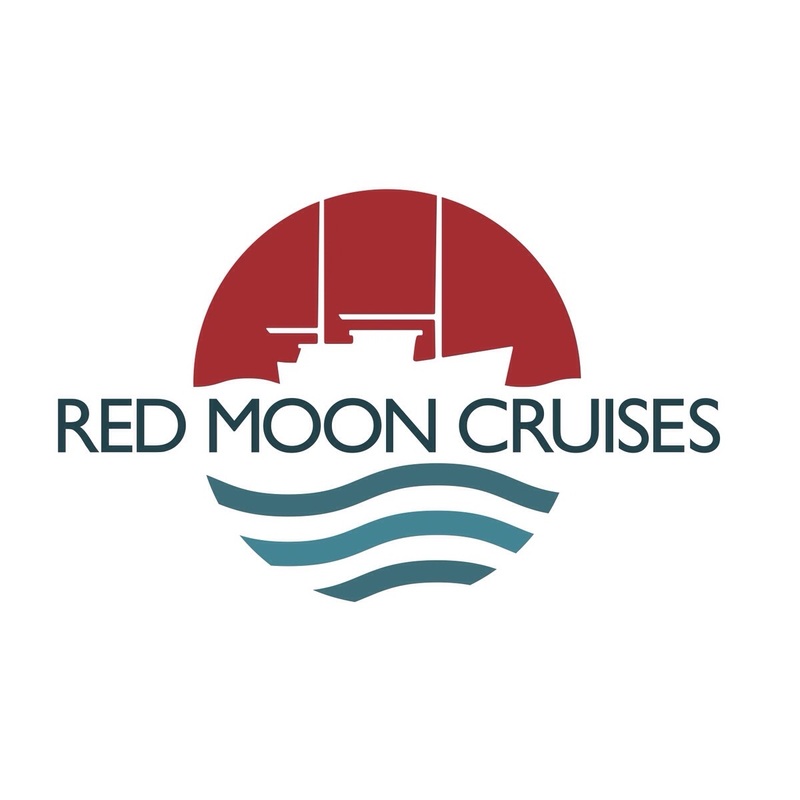 It has been proving to be one of the best cruising months, weather wise, up here and is always very popular – you can get in touch via the website redmooncruises.co.uk or phone 07768 101667.